A label change on olmesartan medoxomil (Benicar, Benicar HCT, Azor, Tribenzor) warning that the drug can cause intestinal problems known as sprue-like enteropathy. Symptoms include severe, chronic diarrhea with substantial weight loss. Sprue-like enteropathy has not been detected with other angiotensin-receptor blockers. A recall of one lot of over-the-counter enteric-coated aspirin tablets, 81 mg, by Advance Pharmaceutical Inc due to a complaint that a bottle actually contained 500-mg acetaminophen tablets. Inadvertently taking 500 mg of acetaminophen instead of 81 mg of enteric-coated aspirin may cause severe liver damage to those who take other drugs containing acetaminophen, drink three or more alcoholic drinks every day or have liver disease. A recall of four lots of Fresenius Kabi benztropine mesylate injection, USP 2 mg/2 mL (1 mg/mL), in 2-mL single-dose vials, due to the potential presence of glass particles from glass delamination in the vials. A recall of one lot of Recombivax HB hepatitis B vaccine adult formulation by Merck Sharp & Dohme Corp due to the potential for a limited number of cracked vials. If the vial was cracked, the integrity of the vial and the sterility of any product remaining in the vial could not be assured. A boxed warning on hydroxyethyl starch (HES) solutions about increased risk of mortality and severe renal injury and bleeding. The FDA has concluded that HES solutions should not be used in critically ill adult patients, including patients with sepsis and those admitted to the ICU, as well as those with preexisting renal dysfunction, based on recent data indicating an increased risk of mortality and renal injury requiring renal replacement therapy in these patient populations. HES should also be avoided in patients undergoing open-heart surgery in association with cardiopulmonary bypass due to evidence of excess bleeding particularly in these patients. Clinicians should continue to monitor renal function for at least 90 days in all patients receiving HES. A class I recall of Respironics California, Inc., V60 ventilator because of an issue with the software on the V60 Power Management Board Assembly. If a component fails, it may cause ventilator support to be lost with no audible alarm from the ventilator, which may cause serious adverse health consequences, including death. A class I recall of Medtronic Xomed NIM Trivantage EMG endotracheal tube due to complaints of cuff leak or cuff deflation occurring when the inflation valve cap is inappropriately removed (pulled off, instead of snapped off sideways). This requires the physician to reinflate or replace the deflated tube to ensure the continued breathing support of the patient. A recall of Medtronic SynchroMed implantable infusion system devices due to feedthrough failure, failure of priming bolus and catheter occlusion. Affected products include the SynchroMed implantable infusion pumps, the Medtronic SynchroMed II and SynchroMed EL implantable drug infusion pumps and Medtronic sutureless connector intrathecal catheter products. Medtronic is also distributing a revised clinician refill reference card with information about the pump refill procedure for the SynchroMed implantable infusion system to reduce the potential for a pocket fill during the pump refill procedure. A new indication and dose of paroxetine (Brisdelle), as the first nonhormonal treatment for hot flashes associated with menopause. It contains 7.5 mg of paroxetine and is dosed once daily at bedtime. 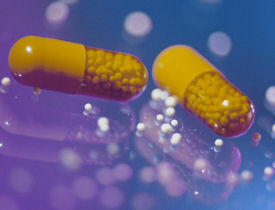 Other medications such as Paxil and Pexeva contain higher doses of paroxetine, a selective serotonin reuptake inhibitor. Safety and effectiveness of Brisdelle were established in two studies of 1,175 postmenopausal women with moderate to severe hot flashes in which it reduced hot flashes compared to placebo. The most common side effects were headache, fatigue and nausea/vomiting. Label warnings include a possible reduction in the effectiveness of tamoxifen if both medications are used together, an increased risk of bleeding and a risk of developing serotonin syndrome. A new indication for telavancin (Vibativ) to treat patients with hospital-acquired and ventilator-associated bacterial pneumonia (HABP/VABP) caused by Staphylococcus aureus, but only when alternative treatments are not suitable. Safety and effectiveness to treat HABP/VABP were evaluated in 1,532 patients in two trials. Mortality rates 28 days after treatment were comparable between telavancin and vancomycin, except for patients with preexisting kidney problems. More patients with preexisting kidney problems treated with telavancin died, which has been noted in a boxed warning. Telavancin was approved in 2009 to treat complicated skin and skin structure infections. Rixubis, the first recombinant coagulation factor IX specifically indicated for routine bleeding prophylaxis in people with hemophilia B who are 16 and older. A purified protein produced by recombinant DNA technology, it is indicated for the control and prevention of bleeding episodes, perioperative management and routine prophylaxis. Efficacy was evaluated in 73 male patients between 12 and 65 years of age who received the drug for routine prophylaxis or on demand and had a 75% lower annual bleeding rate than patients who have historically received on-demand treatment. Serious side effects including anaphylaxis can occur, but the most common side effects were dysgeusia, pain in an extremity, and atypical blood test results. The Abbott RealTime HCV Genotype II, the first test that identifies the genotype of hepatitis C virus (HCV) that a patient is carrying. The test, which can differentiate genotypes 1, 1a, 1b, 2, 3, 4 and 5 using a sample of an infected patient's blood plasma or serum, will aid in determining the appropriate approach to treatment.